Experts hope to eliminate the debris before it becomes too risky to launch new satellites. As some scientists try to clean up the world’s oceans and remove greenhouse gases from the atmosphere, others are tackling the problem of pollution in space. Defunct satellites, spent rocket parts and thousands of other pieces of human-made debris have accumulated in orbit around Earth in recent decades — and the problem is getting worse. Now a consortium of universities and aerospace companies has begun testing a suite of technologies that could address the growing problem of space junk. On Sept. 16, scientists with the consortium successfully tested a net designed to snag orbiting debris and drag it down into Earth’s atmosphere, where it would burn up harmlessly. 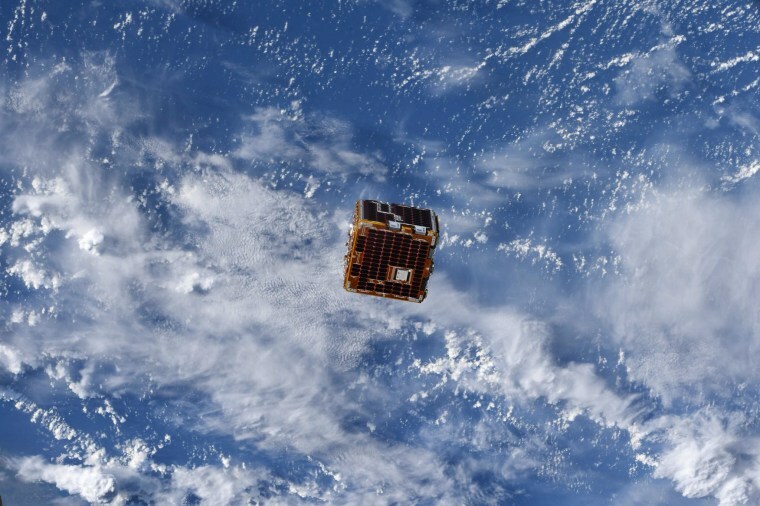 The consortium’s refrigerator-sized RemoveDebris satellite deployed the spring-loaded net and captured a tiny cubesat that had been released for the experiment. Footage of the test shows the web-like net shooting out and trapping the mock space debris. Guglielmo Aglietti, director of the Surrey Space Centre in England, said he was “very happy” with the test, adding that the net and the cubesat are expected to burn up in the atmosphere within a couple of months. The center leads the consortium, which also includes Airbus, ArianeGroup and other partners in Europe and South Africa. In last week's test, the RemoveDebris satellite released the net as it was deployed. But in a real space debris-grabbing mission, Aglietti said, the net would remain tethered to a "mothership" satellite, which would then reel it in and de-orbit it via some mechanism yet to be determined. In February, Aglietti and his colleagues will use the satellite to test another debris-removal idea: a tethered harpoon that could latch onto space junk and remove it from orbit. The RemoveDebris mission is focused on eliminating old satellites and other large debris — objects about the size of a bus and weighing a few tons — because they pose the biggest threat to the International Space Station and satellites in low-Earth orbit. The U.S. Department of Defense tracks more than 500,000 pieces of space junk in orbit around Earth, including about 20,000 objects larger than a softball. As rocket launches continue and more debris is created, experts worry that we could reach a point where it’s too risky to launch new satellites. Crassidis called the recent test “fabulous,” but added that the RemoveDebris scientists must eventually show they can control debris after it's been captured without destabilizing the RemoveDebris satellite itself. Aglietti said even if the technology works, the bigger challenge will be navigating the politics and finding the money to mount clean-up initiatives. The RemoveDebris satellite cost $15 million, he said, but a real mission designed to remove space junk would likely cost significantly more.